Lost wills are the bane of the probate practitioner. Wills kept at the will maker’s home are regularly unable to be located. As for wills held by law firms, whilst it is extremely rare for a will to be lost by a law firm, it does happen from time to time. When a will is lost, all is not lost. If the will maker has not died and has testamentary capacity, then they can simply make another will. If they have died, it may be possible to obtain probate of a copy of the will, if a copy exists. the deceased did destroy, or may have destroyed the will, but did not have any intention to revoke it in doing so. As you can see, rebutting the presumption will be difficult in many circumstances i.e. if a testator dies and there has been no discussion of the will by the testator to any living person in the recent past, then there is simply no evidence to demonstrate that the deceased did not intend to revoke it. There is a line of case law in relation to the presumption of destruction helpfully set out in the recent West Australian Supreme Court case of Larussa1 . However, for the purposes of this article, it suffices to say that the presumption can be overcome. The presumption of destruction does not apply if someone other than the will-maker holds the will when it is lost i.e. a solicitor. Once the presumption is overcome or if it does not apply, it is generally a reasonably straightforward matter to then get a copy of the will admitted to probate. This brings me to my practice tip, (which is reasonably obvious!) and that is that all wills should be scanned electronically, and photocopied, immediately after they are signed. The will-maker may wish to keep a printed copy or an electronic copy – or both. However, it is a good idea to ensure the law firm holding the original will (if applicable) also holds an electronic copy backed up to a cloud-based backup. This assists to prevent loss of both the copy and the original will simultaneously. In the recent case of Re Ambrose2, a will was lost when a law firm’s premises was renovated. It appears that the original will had been accidentally destroyed, along with other rubbish, as part of a renovation. the will was properly executed. It might be said that other usual criteria for admission of a will to probate would also apply e.g. there being no suggestion that the testator did not have capacity when making the will. The copy of the will was admitted to probate (described as a ‘photocopy will’). The matter was achieved without an oral hearing and no doubt brought great relief to the parties involved. 14. In In the will of Gregory Thomas Barnes , the Supreme Court admitted a copy of a lost will to probate after considering the circumstances of the lost will. As always, context is crucial. 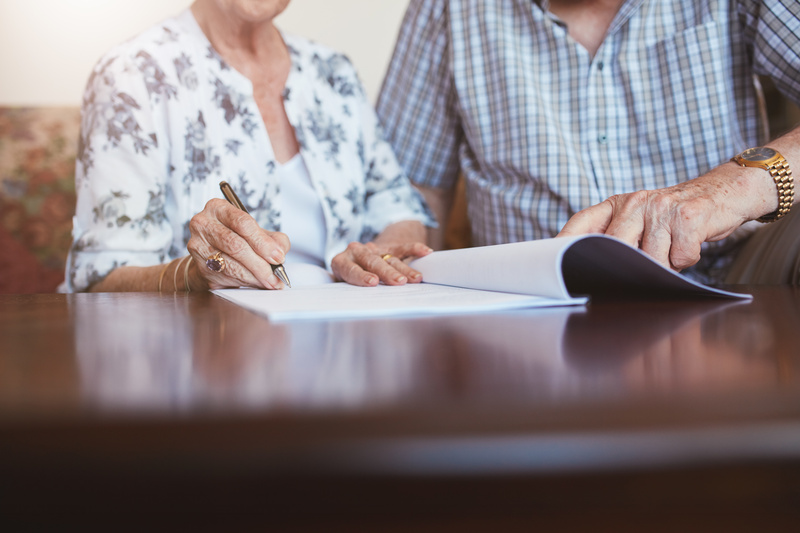 the deceased had made comments to a family member that his will was “all sorted”, with everything “filed together” and he had discussed with the executor of the last will the fact he would appoint him as his executor. Each piece of evidence was not conclusive in isolation, but taken together was enough to satisfy the Court that the deceased did not intend to revoke his will. From a client’s or other advisor’s perspective, I encourage clients to keep an electronic copy of their current will in case their original will goes astray. Keeping in mind that the presumption of destruction may need to be overcome if the will-maker holds the original will at the time of its disappearance, it is still a worthwhile enterprise to maintain an electronic copy. 1 Larussa v Anna Carr as administratrix of the Estate of Giuseppe Larussa [2016) WASC 332.